Tampa Tree Service is Tampa’s go-to for all things tree care related. Stellar reviews continue to roll in, as your satisfaction remains our top priority. Our highly professional staff, utilizing top-of-the-line equipment, tackles each job with the skill and experience necessary to perform even the most advanced tree services safely and efficiently. Our clients can count on us to not only take care of their trees, but to respect the overall landscape in the process. As the tree service Tampa trusts, safety is of utmost importance to us, which is why we use only the newest and safest equipment on the market. We often handle very large jobs and our heavy equipment allows us to do so. However, there are times when this equipment may potentially cause damage to a landscape. In these instances, if you would prefer that we use only climbing harnesses, we are happy to do so; you are in control of your property. Our flexibility and ingenuity are what allow us to provide excellent customer service to Tampa, day in and day out. Here are eight great reasons to call us. Compare these criteria to our competitors to understand why our professional tree care company is the best choice for both our residential and commercial customers in the Tampa and Hillsborough county area. ​We are licensed, bonded, and insured because we want to leave you and your family with zero liability. We also provide all of our staff with worker’s compensation benefits, as another way of protecting our customers. 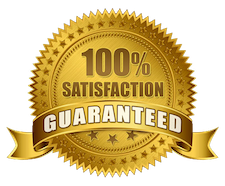 ​We guarantee quality work for a fair price, with 100% customer satisfaction, because we know that, like us, you work hard for your money. Because our customers keep us going and allow us to do the work that we enjoy, it is our pleasure to give you the best price possible. ​Our team of experienced arborists are capable of performing a wide variety of jobs from felling an enormous tree to clearing unwanted brush from your backyard. From the moment we arrive on your property, we will handle every last detail of the job, right down to raking up the leaves from the removed tree. When we pack up and leave, it should be as if we were never there - we will always leave your property better than we found it. ​At Tampa Tree, we realize that supporting local businesses is a priority for a lot of our customers. We are proud to be a part of your community, giving you the peace of mind that only comes from working with a business you know and trust. Search “tree care near me” and give us a call today! ​We remain the tree care service Tampa calls because we pride ourselves on our ability to maintain standards of professionalism in all situations. We do what we say we are going to do, when we say we’re going to do it because we know that, in today’s world, reliability is everything. We have the equipment, experience, and business management operations Tampa customers expect. ​Safety is our top priority at Tampa Tree. All of our equipment is top-of-the-line and properly maintained and our staff is well trained in safety practices and protocols, in order to avoid the potential hazards inherent with tree handling. We practice and adhere to all International Society of Arborist (ISA) and Tree Care Industry Association (TCIA) guidance on tree care safety. This include the complete us of safety climbing harnesses and proper equipment operation. We ensure that we will be as safe as possible while performing tree care work on your property. ​In order to perform the wide variety of services that we offer, it is essential that we utilize the best tools and the best employees available. We maintain and service our equipment regularly, in order to keep it top notch condition. Similarly, we hire only the best and require continuous education and training to ensure safety, efficiency, and impeccable customer service. On the same day that one of our professionals comes out to your home to assess the job, you will get an estimate of cost. We know that tree work can sometimes be an unexpected expense and, for your budget purposes, it is important to know the cost of a service beforehand. We strive to give our customers the best service possible and the littlest things can make a big difference. How Much Does Tree Care Services Cost? This is the most frequent question we get from prospective customers. Tree removal, tree trimming, and stump grinding costs are variable depending on the specifics of the project. Below we outline these variables and other factors that will determine cost. ​With our tree removal service, four factors play a role in cost: location of the tree, height of the tree, diameter of the tree, and the species of the tree. Given these variables, tree removal cost can range from $400 to $2,000. The tree’s location plays a big part in cost of removal because it contributes to the level of difficulty of the job. For example, if the tree is leaning against your home or is tangled in power lines, it may require a certified lineman or a more experienced worker. Location also determines how dangerous a job is and the more dangerous the job, the more costly it can be. The tree’s height also plays a role in the cost of the job, as it simply requires more work. A smaller tree, on the other hand, requires less staff and less equipment. The diameter of the tree is key to pricing, as it determines how long the job will take. For example, a thicker tree will take longer and will likely have to be cut into smaller sections, requiring additional manpower and equipment. Lastly, the species of tree matters, in that a harder wood would take longer and more effort to cut than a softer wood. Further, multi-trunked trees are generally more difficult to removal than single-trunked trees. ​There are five factors that determine the pricing of a tree trimming: location of the tree, height of the tree, diameter of the tree, the tree’s species, and the degree of trimming desired/required. Tree trimming, as a result of these factors, can range from $200 to over $1,000. Just like with removal, the location of the tree is key to the cost of service. It takes less resources - time, manpower, and equipment - to trim a tree located in the middle of a field than it does to trim one that’s tangled in power lines and in contact with a structure. The taller a tree is, the higher we must climb to trim its branches. This translates into more time and money to perform the job safely and thus, a higher cost for service. The diameter of the tree matters because a thicker tree can mean more branches and thus, more time to complete the trimming. Some tree species naturally have more branches and larger limbs than others. Depending on the kind of tree, trimming could take more or less time and resources. The degree to which the tree needs to be trimmed is pivotal to the cost of the job. If the tree is highly overgrown, it will clearly take more time and effort to shape compared to a tree that gets regular trimmings. ​When determining the price of a stump grinding or removal, we look at 5 key factors: whether or it needs grinding vs. removal, the location of the stump, age of the stump, size of the stump, and the species of the tree. Stump grinding can range from $100 to $400 while stump removal will generally be $500 and over. Stumps can either be ground or removed, depending on your preference and the needs of the specific tree. Grinding is the more economical choice, as it saves time and money. It is much easier than removal because the stump is ground down to below ground level and then covered with dirt and left to decay, along with its roots. Removal entails removing the entire stump, as well as its roots, leaving a large hole that must be filled. This is the more expensive route because it requires more resources to complete. However, we are more than happy to perform either service and can help you decide which is more appropriate for your tree. The location of the stump plays a role in the price of the job because a difficult to reach stump requires more time and resources to grind or remove. If the stump is in close proximity to a structure, the job will be more complex and time-consuming. The stump’s age contributes to price, in that an older stump will have a more complex root system. In the case of removal, this complicates the job, making the service more costly. The larger the stump, the more work and time must be put into grinding or removing it. A small stump might take a couple hours, while a large one could take much longer and require many more hands. Lastly, the species of the tree makes a difference because, for example, in the case of grinding, a softer wood will be easier to get through and take less time to grind. This makes it is a less expensive job to perform. On the flip side, a hardwood will likely take much longer to safely grind. When trying to determine whether a tree needs to be trimmed or removed altogether, we begin by asking the following questions (and you can do the same). Is the tree a hazard? If the tree is deemed to be hazardous, we must then determine whether the issue can be solved through trimming. For example, if the tree hazardous because it is making contact with your home or another structure on your property, is it only a single branch touching or is the trunk itself making contact? If only a branch or two need to be removed, in order to remove the hazard, trimming may be the best option, as long as it can be done safely and will not affect the health of the tree. Is the tree dying or does it have an inordinate amount of dead branches? If the tree is clearly dying or its health is quickly declining, removal may be the best option. However, if there are only a few dead branches and it is possible to trim and restore the tree’s health, a trimming service may be sufficient. Is the tree causing a problem? If the tree is causing a big problem, removal may be the only option. For example, if it is too close to a structure and putting strain on that structure, leaving you with costly repairs, it may be necessary to remove it. Further, if the tree has suffered storm damage and is past the point of repair or if it is too large and is preventing grass or other plants from growing, removal may be necessary. However, if the tree is not causing any major issues and is simply overgrown, a trimming may be the best route. Does the tree add value to your property/landscape? If a tree is a bit of a hassle but is an integral part of your landscape aesthetic, trimming may be the right choice. It is often underestimated how much of an impact regular trimming can have on the health and beauty of a tree. Oftentimes, trees become a nuisance only because they have become unhealthy and need attention. However, if the tree does not add any value and is negatively impacting your landscape, removal should be considered. We offer the complete spectrum of services our residential and commercial customers demand. From tree removals to emergency 24x7 service, we provide complete tree care. As you might suspect, tree removal is our most requested tree care service. Most property owners know very little, if any, about their trees and how to properly care for them. A healthy tree typically requires little maintenance, other than routine pruning, so you may not give it much thought, until its health declines or it is damaged in some way. It is difficult to know whether or not it’s time to remove a tree and that’s where we come in. Once you contact us, one of our expert arborists will meet you at your property to asses the tree or trees of concern. Our arborist will then provide you with a quote and set a date and time for our team to come out and complete the job. The quote will always include felling the tree, cutting it, stacking or removal of the wood, and a complete clean up. If you’d like us to assess your entire property and determine which trees are sick or damaged, we would be happy to do that, as well. In our tree removal process, heavy equipment is typically used, as it makes the job easier, safer, and more efficient. However, in some situations, there is a possibility of damage to the surrounding landscape. If you are not comfortable with this, let us know and we will use only climbing gear to complete the job. Our team is more than capable of safely performing any removal without heavy machinery and we would be happy to do so. For the duration of our service, there will be a ground crew present to remove debris from the work area and make sure safety protocols are being met. * #1 Tree Contractor 11 Years in a Row! ​You probably didn’t know that more trees are damaged or killed by unprofessional trimming than by insects or disease, every year in Florida. Tree trimming might seem like a pretty straightforward job but, in reality, it is a science that should only be performed by a trained professional. Just like a human, every tree is a unique individual. There are no hard and fast rules for when and where cuts should be made, which is why you should only allow a skilled arborist to prune your trees. Unfortunately, when done by someone without the proper training and experience, trimming can do more harm than good. To restore the original beauty and style of the tree by improving its shape and symmetry. Our tree trimming process is much like our removal process, in that one of our team members will come out to your property, assess the trees in question, provide you with a quote, and schedule a day and time for the job to be performed. If possible, we will use our heavy equipment, which has been specially designed to handle any and all trimming jobs. However, if you would prefer, we are always happy to use only climbing equipment to trim. Because trimming is as much an art as it is a science, you may have preferences when it comes to the look of your trees. We welcome your guidance throughout the entire process, as we strive for 100% customer satisfaction. When our work is done, you will have healthier trees and upgraded curb appeal. After Tampa Tree removes your tree, you have the option for our team to get rid of the leftover stump. Even if we did not remove the tree for you, we would be happy to take care of what’s left behind, as stump removal can be a messy job. A tree stump can be a real nuisance, quickly becoming a trip hazard, a home for pests, or simply a blemish in an otherwise beautiful landscape. Our high-tech stump grinding equipment allows our team of experts to safely eliminate any stump, with little to no damage to your landscape. We understand that removing a stump can be tricky, time consuming, and even dangerous for a home or business owner. Allow us to make your life easier and call us to remove that unwanted stump today. In the case of storm damage to your trees, we will be there for you; Tampa Tree is proud to be available to our customers 24/7. Our team of experts will respond quickly and work relentlessly until the job is done. Unfortunately, even a small storm can cause a tree to fall onto your home or structure, causing a potentially dangerous situation. We have the right equipment and hardworking staff to quickly and safely eliminate potential hazards and restore your landscape. In an emergency, don’t call just anyone - call the team you know you can trust! If you own a large piece of property with a lot of trees or are preparing to build a home, our brush removal services may be right for you. We are happy to clear any size property for any reason and you can rest assured that the unwanted debris will be eliminated safely and efficiently. You have enough to worry about, as a property owner, without wondering when you’ll find the time to clear the brush that has taken over your landscape. The best way to get rid of brush is to turn it into wood chips, when can then be repurposed as mulch or pressed into firewood. Whether you utilized our brush removal services or did some trimming and bush pruning on your own, allow us to turn those sticks and larger branches into multipurpose wood chips. Don’t let that pile of dead, decaying wood turn into an unsightly mess - call us today!